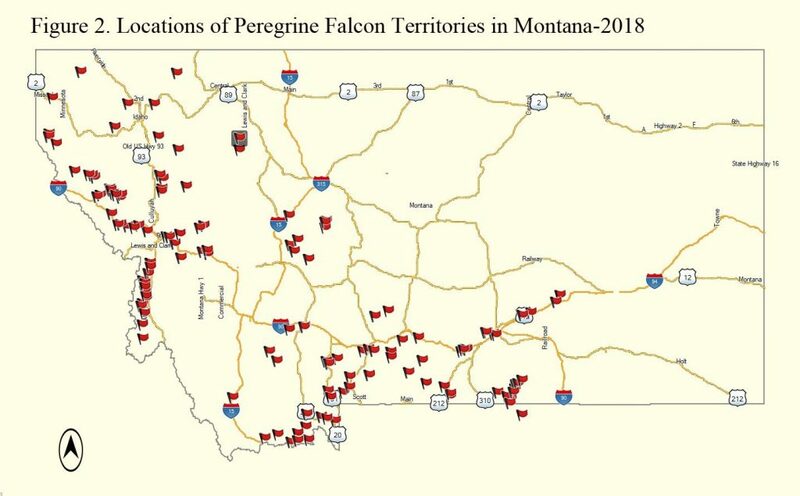 The Montana Peregrine Institute has coordinated 20 years (1999-2018) of intensive surveys designed to determine the status and health of the Montana Peregrine Falcon populations. The surveys were conducted by a mix of biologists from private organizations and all agencies responsible for the management of the peregrine. 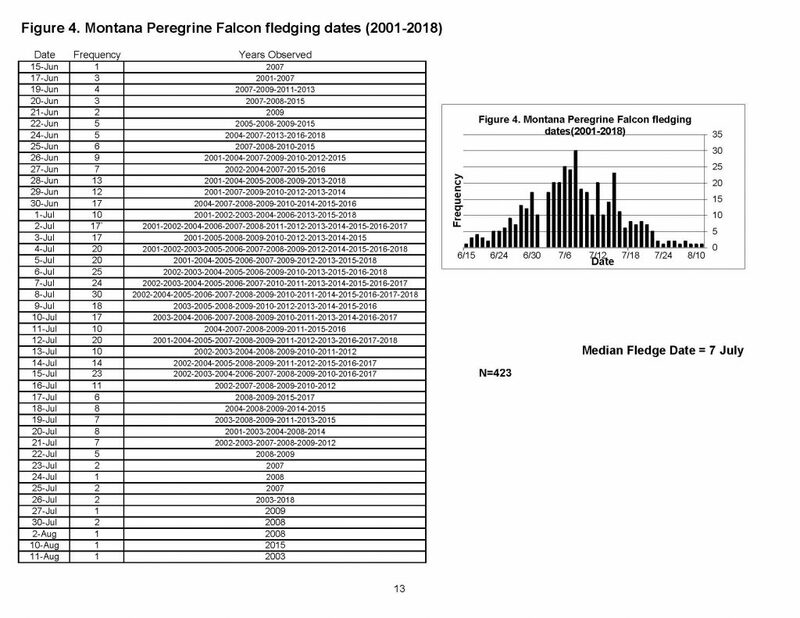 Funding was provided by the Montana Fish Wildlife & Parks, the Bureau of Indian Affairs, the USDA Forest Service, the Bureau of Land Management, the United States Fish and Wildlife Service, the Bureau of Reclamation, the Montana Falconers Association, and the Montana Peregrine Institute. Population data presented here is from this study.